Modern Fantasy & Traditional Wisdom: Pearls for Readers & Writers. I am a homeschooling mother, a healer. a teacher and to my happy surprise, a writer. Solace Born of Winter is my first fantasy novel. I believe that childhood should be magical, but fantasy should be well developed and relevant to our yearnings, challenges and contradictions. I am happiest surrounded by the natural world and I enjoy gardening, camping and wild-crafting as well as cooking (and eating) traditional or multi-ethnic foods. We live with a small menagerie of quirky and adorable pets, most of whom were rescued. My children, it seems, share my love of animals....as does my husband- though he rarely admits it! Welcome Fantasy Lovers and Writers! What happens when a songwriter tells a story? In IA Initiate, we have the opportunity to find out. John D. Winston has woven together an imaginative, provocative young adult novel taking place in a dystopian world eerily reminiscent of our own. He composes his characters with depth and humanity and his experience with parenting and teaching are evident in their vivid portrayal. 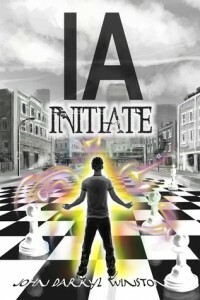 IA Initiate could be viewed as a simple Science Fiction/Super Powers story. It could be, but it shouldn’t, because it is very much more. In the traditions of Madeleine Engle and Phillip Pullman, John D. Winston has created a socially relevant examination of our own society, placed safely within the setting of fantasy. IA Initiate is an endearingly honest portrayal of the very real challenges faced by every youth struggling to survive with integrity in a world of decaying values. IA Initiate held me in its thrall from the very first chapter. 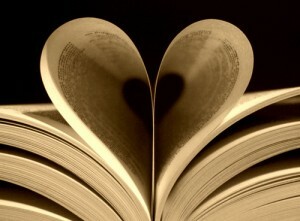 The characters sprung from the page and became so real to me that I dreaded reaching the end of the novel. The main characters are so well rendered that even months later I find myself remembering and rooting for them. The novel sits in the young adult genre based on the age of its protagonists. It is a coming of age story involving ties to one’s family, friends, community and roots. The YA genre alone does not fully classify this novel. It is at times frightening, poignant, shocking, intimate and funny. It will grasp the attention of young teens and adults alike and will satisfy them all. It truly takes skill to bring an adult into the mind of an 11year old and connect. John D. Winston is a master of the craft. Naz Anderson is a unique blend of worldliness and naivety, honest self interest and selflessness, wisdom and confusion. In a word, he is real. In a sentence, he is a young man fiercely devoted to his family and friends, rich with integrity and very human in his failings. He will make you smile, laugh and cry. Equally intriguing is the character of Meridian Liberty Slaughter, (Meri) who is stubborn, clear-sighted, incredibly strong yet secretly vulnerable. IA Initiate grabbed hold of my attention and never let go. It presents a tantalizing mystery which slowly unravels to reveal more mysteries within, while connecting the reader intimately with the main characters. It is so compelling that the greater impact of the storyline simply slides into the unconscious mind and sets off a cascade of thought with relevance to our own society. The author has created a rich world which speaks for itself, mirroring the economic segregation throughout most of modern society, and donning both the trappings of poverty and the roots of change. It contrasts social and individual responsibility and casts a jaundiced eye on the status quo. It does this in the midst of a very personal journey. I read IA Initiate along with my two thirteen-year-old daughters. We had one copy and it was hard to hold back spoilers until we all had time to read it through. The novel spurred on some long discussions about the state of our world, but mainly, it was an engaging story. Both of my daughters shared vivid descriptions of memorable scenes. It was fun to see them working through the plot and developing their own theories about what would happen next. (Naz surprised us all). They felt close to the characters -really liked them- and are anxiously awaiting the next book in the series. They especially hope to see more of Meredith. IA Initiate is a challenge to us all to look beyond hopelessness and rally our gifts. It is a dare, to build a community which shines past the dismal gloom of inner city existence. Because of (and despite) all this it’s a fast moving, engaging fantasy-mystery-adventure which is impossible to put down. And Guess what! Book two, IA: B.O.S.S . was just released!! Stay tuned for another review!